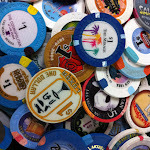 This week’s winner comes to us from @FSEVL for a never before seen unique view of Vegas. Slotzilla became human trials of the seated experience this week which gave the opportunity for the picture to be captured and shared. It’s from the launching platform at Slotzilla looking down into the Fremont St Experience and down the street. 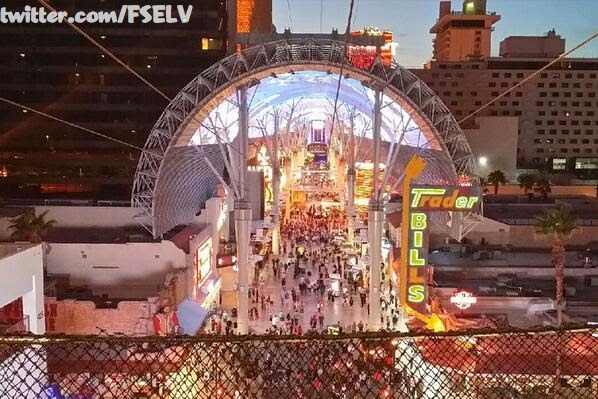 If this picture doesn’t get you excited about zip lining down Fremont St I’m not sure anything will. I could see me possibly doing this thing multiple times, especially if I can capture video of Fremont St as I zoom by. As a reminder, Slotzilla’s seated experience is now open for business at $20 a person but their superman experience won’t be ready for another month.